Musical instruments for kids can help to promote self-confidence, advance hand-eye coordination, improve concentration and encourage relaxation. Here at Baby Vegas, we know that playing and listening to music is very important to a child’s development, so we have sought out the perfect kids musical instruments for your music box collection. Baby Vegas has a variety of different types of instruments to suit varying age groups, which means you will be able to locate just the right musical instrument for your child’s needs. 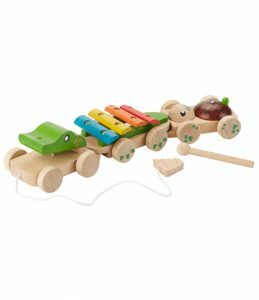 Our wooden children’s musical instruments are of sturdy construction, use only non-toxic paints and make a lovely sound. The selection of musical instruments for kids at Baby Vegas is also economically priced, so you can be sure to find many items to choose from within your budget. Check out our range of musical instruments for kids and discover your child’s hidden talents today!